Abortion survivors Melissa Ohden, Josiah Presley and Claire Culwell joined Fox News host Ainsley Earhardt to discuss their personal stories of how they survived abortion attempts. The interview comes amid a number of proposals in Rhode Island, Vermont, Virginia, Maine, New Mexico and Maryland to expand abortion access. Late-term abortion proposals have gained media attention after Democratic Virginia Gov. Ralph Northam made comments condoning late-term abortion and floating legal infanticide as a possibility. Three abortion survivors told their stories on Fox and Friends Monday morning, and reacted to comments from Virginia’s governor supporting late-term abortion as well as attempts in a number of states to legalize abortion until birth. 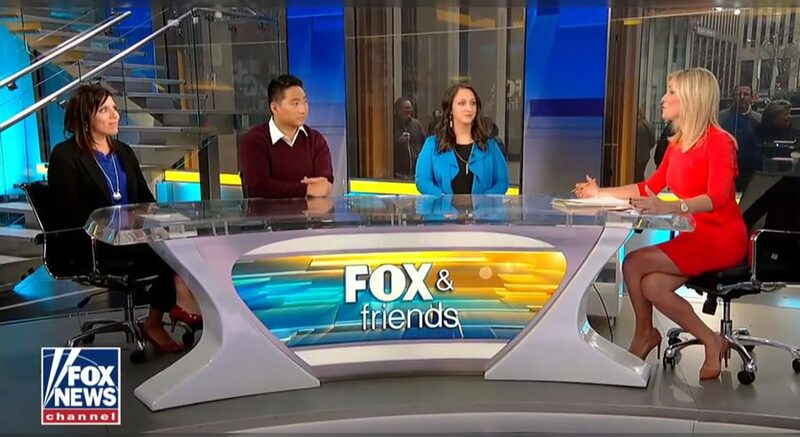 Abortion survivors Melissa Ohden, the founder of the Abortion Survivors Network, along with Josiah Presley and Claire Culwell joined Fox News host Ainsley Earhardt to discuss their personal stories. Ohden, an adopted child, knew she had been born prematurely but did not learn she was a survivor of abortion until she was 14 years old. “It was absolutely devastating,” Ohden said. Following the discovery, Ohden began looking for her birth mother when she was 19 and didn’t find her until Ohden was almost 30. Her birth mother did not know that Ohden had survived the abortion. “She [Ohden’s mother] was told that day, ‘It’s a monster, it’s hideous. Don’t look at it,’” Ohden said. “She didn’t know if it had been a little boy or a little girl delivered in that final step of the saline infusion abortion,” Ohden continued. Presley was adopted from South Korea into a family of 12 kids and found out that he had survived an abortion at 13 years old. “When I was 13, my adoptive parents, they sat me down and told me about how my birth mother had actually had a curretage abortion when she was two months pregnant with me,” Presley said. “And a curretage abortion is a type of abortion where the doctor goes into the mother’s womb and basically rips the baby apart and brings it out in pieces,” Presley continued. “And that’s why we think I’m probably missing an arm today. So she had the procedure at two months and then, at five months, realized I was still alive, that the abortion had failed, and at that point I was born later,” Presley said. Culwell’s mother was 13 years old and 5 months pregnant when she attempted to abort Culwell in a dilation and evacuation abortion. After complications, Culwell’s mother went back to the abortion clinic who told her that the abortion was successful but that she was pregnant with twins and that the second child, Claire Culwell, was still alive. “So she actually sought out a second late-term abortion in Kansas, but they, because of a risk of infection they weren’t able to do that so I was born six weeks later,” Culwell said. Monday’s interview comes after Virginia Gov. Ralph Northam made comments in an interview in late January condoning late-term abortion and possibly infanticide. A number of states, including Rhode Island, Vermont, Virginia, Maine, New Mexico and Maryland, are considering proposals to expand abortion access. “What’s your message to those governors who’ve signed this legislation?” Earhardt asked the survivors. “This is a human rights issue,” Ohden said. “And in a world that decries women’s rights, where were Claire’s rights, where were my rights, where are the rights of those little girls who are going to have their lives ended by abortion today?” Ohden said. “Without the right to life, there is no other right,” Ohden added.